The PSP’s release schedule hasn’t been a picture of health for a long time, but with the PS Vita hitting Europe this week and Sony now focusing all their attention on their shiny new system the release lists look bleaker than ever. There are a few RPGs lined up for American gamers, and we may see FIFA 13 on it if we’re lucky, but now seems a fine time to say farewell to Sony’s premier handheld. When the PSP first arrived on the scene it got off to a glowing start. It was a sleek and stylish piece of kit that was effortlessly desirable. 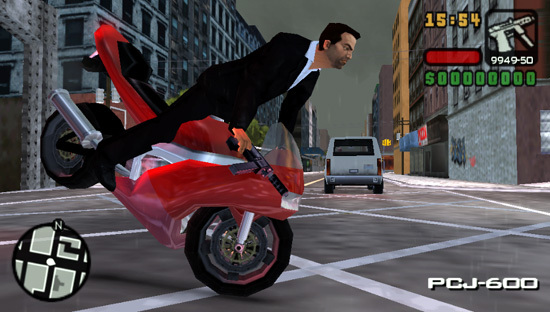 Rockstar’s Grand Theft Auto Liberty City Stories and Vice City Stories helped to gain the system plenty of press attention, and publishers and developers alike approved of the ability to bring their PlayStation 2 titles to it with relative ease. It’s keeping the publishers faithful that Sony has struggled with – even EA has backed away slightly, not dishing up a new Need for Speed since 2009. 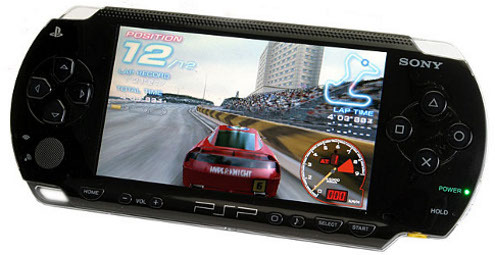 We could go on to talk about the faux pas that was the PSPgo – which a few retailers refused to stock – and the dead format that is UMD video, but the PSP shouldn’t be remembered for these mistakes. Few could argue that it doesn’t have one of greatest collection of RPGs of all time. It’s Square-Enix and Ghostlight who have kept the system alive for the past year thanks to the likes of Tactics Orge, Lord of Arcana and The Legend of Heroes: Trails in the Sky. Many of Square-Enix’s efforts can now picked up for around £7.99 on the PSP Essentials range, making them incredibly good value for money. Cheap development costs and popularity in the East also lead to a wealth of inventive and experimental niche titles such as LocoRoco, Gitaroo Man Lives, Half Minute Hero, echochrome, Me and My Katamari, Patapon and Prinny: Can I Really Be The Hero?. The PSP iteration of Katamari is one of our favourites because after this one the series was flogged for all it’s worth. A few of the above were popular enough to spawn sequels. There are some fantastic retro compilations as well including EA Replay – the only retro collection the publisher has even released. Apparently you can get your own assortment of retro games on the system too, although we wouldn’t know anything about that. Sony were also able to keep the PlayStation 2 going for a couple of extra years by slowing drip-feeding PSP conversions such as Secret Agent Clank, MotorStorm: Arctic Edge and WipEout Pulse. We never did see the rumoured PlayStation 2 version of God of War: Chains of Olympus but we suppose Sony had to keep some of their biggest titles exclusive to PSP. We can’t ignore the system’s success in Japan either, which Sony mostly have Capcom’s time-sapping Monster Hunter series to thank. Metal Gear Solid: Peace Walker helped the slimmer and lighter PSP 3000 get off to a good start too. It’s a game that most gamers are only discovering now for the first time, via the recently released Metal Gear Solid HD Collection. On a similar note, 3DS owners have only recently been treated to CRUSH3D – a puzzler that first made its début on PSP under the guise of CRUSH. If you’re thinking of making a late entrance to the PSP party then now is a brilliant time to do so – many of the the system’s finest can be picked up for literally pocket change. Prices of the handheld itself are quickly descending too. The Slim & Light model is the fan favourite and can be found for around £50 if you spend a little bit of time on eBay. 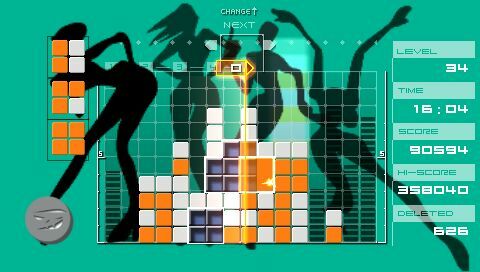 For years after the PSP’s launch Lumines was a game that I kept returning to. A block-stacking puzzler made with the widescreen format in mind, with music so aurally pleasing I wanted to play it both loudly and proudly. 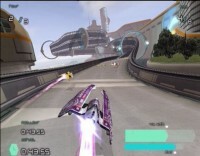 A few PSP games were made frustrating to play due to their loading times but this wasn’t one of them – due to having not a single polygon in sight, it loaded in a blink of an eye. It was the format’s Tetris, pretty much – a game that once removed from its host system it never felt quite as nice to play. If only we could have combined the contents of Capcom Classics Collection Remixed and Capcom Classics Collection Reloaded, we would have one of the best retro collections ever. 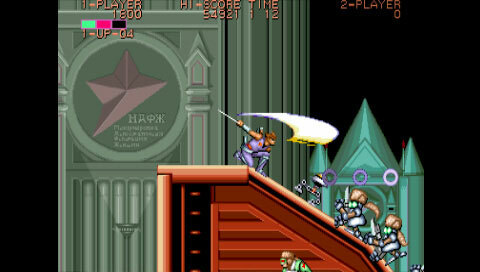 This is was the better of the two, mind, and although it didn’t feature Street Fighter II it did have Strider, Captain Commando, Mega Twins and a couple of 2D shooters that required the PSP to be held on its side. The real hidden gem in the package for me though was Block Block – a simple but addictive Breakout clone. 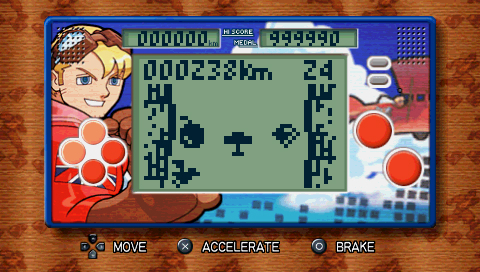 Capcom must have been aware of how well this game played on PSP as it later formed part of Capcom Puzzle World, along with two other games. You may not think that the PSP was the ideal home for Power Stone on first thought, but once it was sat in the palm of your hand it quickly came apparent that it’s a game perfectly suited to the handheld. 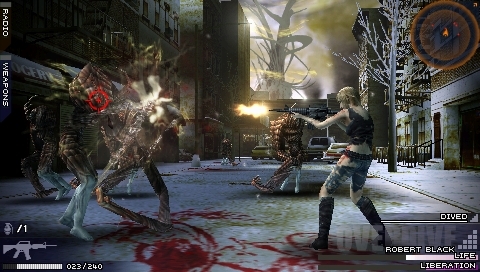 Battles were short and satisfying – ideal for passing a few spare minutes – and like the Dreamcast, the PSP only had one analogue stick meaning Capcom didn’t have to rethink the control system. They were even kind enough sharpen up the visuals and carry over the VMU mini-games, presented here in the style of a faux LCD game. I’ve never been a big fan of Power Stone 2, but the original is a game I think many would love to see resurface for PSN and Xbox Live Arcade. Is WTF a brilliant game? No, which is perhaps why it never saw a European release. 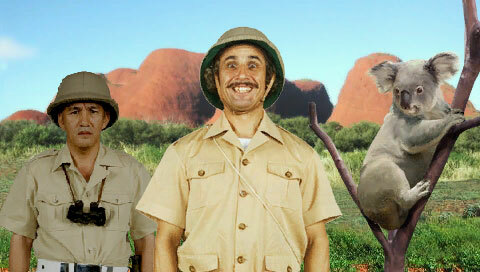 It is however perhaps the oddest piece of software for the system. Odd in the best way possible, I must stress. We all know what WTF really stands for but here it stood for Work Time Fun, due to the fact that it was filled with stupid little time-wasting treats. Clones of retro games, a fake e-mail system where random and time-sensitive messages and images appeared, and dozens of ‘tools’ such as a instant noodle timer which featured a FMV clip of either a greased up beefcake or a girl in a bikini who did their best to entertain you while your noodles cooked. There were also Shenmue-style gashpon toys to collect with some amusing descriptions. “This toy is horribly painted. No child would want it,” read one of them. By far the PSP’s biggest curio. As mentioned above, for a while the PSP had a fairly healthy stream of innovative little games. 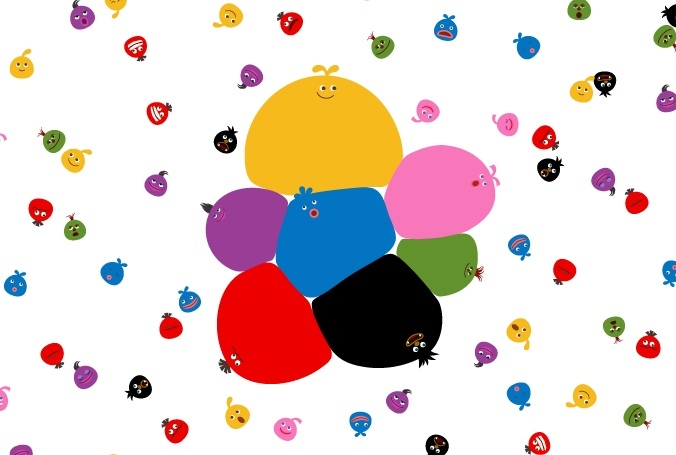 Not all of them were entirely successful, but LocoRoco emphatically was. From the colourful first screenshots, via the unusual move of a PSP demo, to the final game – and even its sequel – it delivered on its promise of pretty much pure platforming joy. With delightful level design, simple but satisfyingly weighty controls, and endearingly enthusiastic sound effects, the whole thing was never less than charming. Not to mention the titular blobs breaking into song at any opportunity, which I’ve run out of synonyms to describe.